What are the pros and cons of Amazon’s FBA and FBM sales? Which mode is convenient? In this article all the differences and the synthetic explanation in the infographic that can be downloaded for free here or at the end of the article. What do we mean by FBA and FBM? Amazon has proven to be one of the largest and most complex online markets in the world. 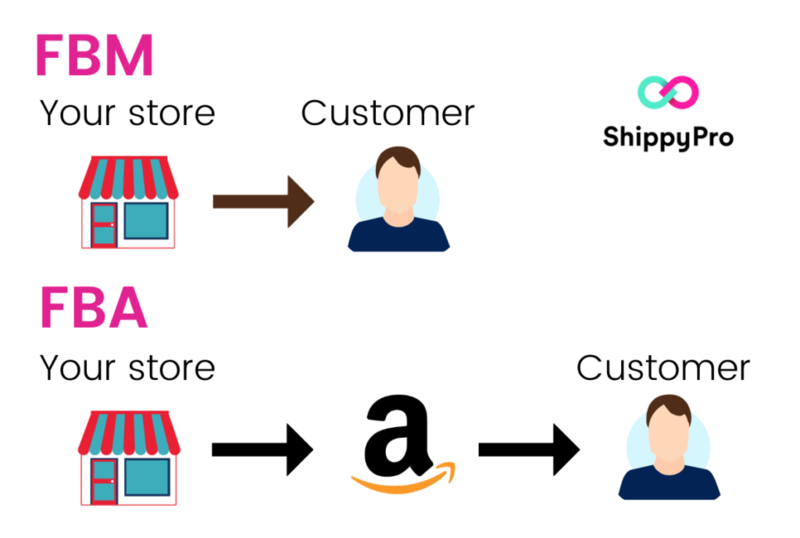 Whoever sells on Amazon must be able to compete with millions of other retailers, and at the same time must manage all the sales and shipping processes. Amazon offers two solutions to the above. That is from the possibility to choose between FBA and FBM process. The decision will have different impacts on your online business. We started talking about two solutions, but what do we mean by FBA and FBM? The FBA abbreviation stands for “Fulfillment by Amazon”, that is Amazon. 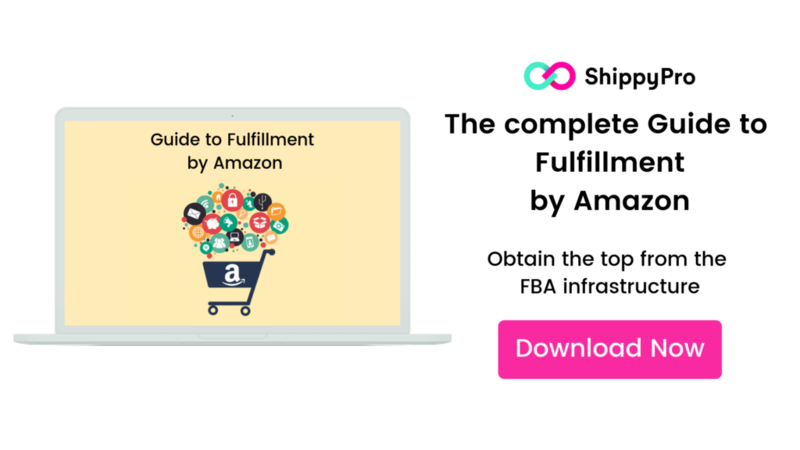 FBA is a service that Amazon offers sellers to help them manage their inventory, inventory, shipping and customer service. 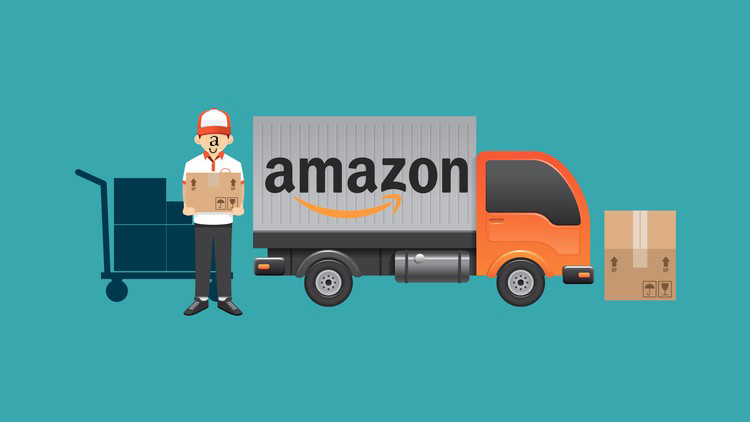 Sellers who use the FBA service send their products to the Amazon distribution center, which stores them until there is an order to be shipped. Once the order is received, the product of interest will be packaged and sent directly by the Amazon staff. FBM instead indicates “Fulfillment by Merchant”, ie managed by the sellers themselves. Here we are in a completely different situation. In the FBM the inventory, warehousing and shipping processes are in the hands of the seller. The seller then uses his own resources to manage the processes, and will be fully responsible for every aspect of the processes. After a brief introduction on what we mean by FBA and FBM, let’s analyze them in a more specific way. In four words, FBA works this way: You sell, Amazon ships. FBA doesn’t work only for orders made on Amazon.com, but also for orders coming from other marketplace or for the seller’s website. 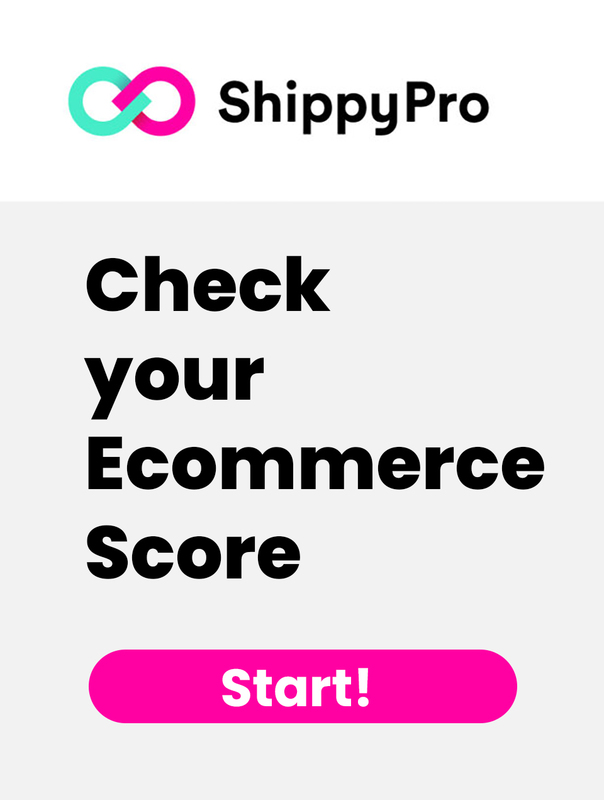 Many ShippyPro customers use FBA to manage logistics and shipping of all their products, while using ShippyPro’s dashboard to keep under control all the orders received from different channels, so that they can easily communicate to Amazon which product has to be shipped where. Amazon keeps the inventory for all selling channels, and it manages the orders in an unique center. One of the main advantages of being an FBA seller, is that products become Prime products, shown before the others. Entering into this category, we can gain customers and orders received, also because Prime member usually make more orders. FBA sellers have a higher probability of winning the BUY BOX. Buy Box accounts for 82% of Amazon sales: everybody wants to know how to win the buy box. Another advantage is that FBA seller’s customers will have free shipping in 48 hours provided by Amazon, and overnight delivery for 3,99$. Thanks to this opportunity many sellers increased their sales by 25%. Added to these advantages, sellers have nothing to manage in the after sales phase. The only thing to do is to ship their products to Amazon fulfillment center, and to pay a monthly/annual fee to Amazon. FBA sellers usually obtain higher conversion rate: that’s because their product is considered as if it was sold directly from Amazon. This impression gives a sense of trust to the customer, as Amazon is one of the most reliable trademarks in the world. Moreover, in case your products are delivered late or some other delivery problems happen, Amazon is fully responsible. Negative feedbacks will not affect the seller reputation. FBA makes the process easier, especially for sellers managing high volumes of sales. Of course, FBA has not only positive aspects, but even some flaws. 1- In case the sellers choose FBA, they will face additional costs that will affect their final profit. In fact, FBA sellers will pay not only the FBA fee but even the shipping costs to the fulfillment center. 2 – Another flaw is that Amazon asks to be paid for every cubic feet of space occupied in the storehouse. This is a problem, especially for the “long-tailed products” which have long storing time. 3 – Multichannel can be costful and inventory can be difficult to be traced. 4 – Many sellers don’t want to put all their inventory into Amazon’s hands. 5 – Last but not least, the seller’s performances could be affected by problems and mistakes due to external logistics management: late deliveries, damaging, lost items. After exploring Pros and Cons of being a FBA seller, let’s see better the costs. Comprehension of FBA fees can help us to understand if FBA could be the right decision for us or not. 1. Individual: best for sellers who plan on selling less than 40 items a month. They will only pay $ 0.99 per item without a monthly subscription fee. 2. Professional: best for sellers who plan on selling more than 40 items a month. The monthly subscription fee is $39.99. Storing fees are different in different periods of the year: cost per cubic feet will be higher in the period from October to December. After analyzing FBA, and all the costs connected to FBA, let’s see FBM. If you want to get deeper into FBA, you can find a good guide here! If you don’t want to use FBA, we will choose the Merchant process, Amazon FBM. Some sellers prefer to maintain control over all the selling process. Without paying FBA fees they can increase their profit margins. Usually, FBM sellers obtain higher profit margins than FBA sellers. Moreover, being a FBM doesn’t exclude you from entering to Prime products. It will just be more difficult: the sellers will have to avoid late deliveries, provide perfect customer care, immediate confirmation and shipping of the order and have very good feedbacks. For FBM sellers it is very important to reduce shipping costs: while Amazon manages very high volumes obtaining low prices for the fast delivery, FBM will have to compare prices and services of the different couriers, in order to get the best service at the lowest price. Of course, FBM too has some flaws. If we have to manage high volumes it could be difficult to have an adequate process. We will have to guarantee that our processes perform at the top every day, without interruptions. FBM sellers don’t have a “free pass” to Prime: they will have to work a lot to get it, and it is not simple at all. Nothing to see with the Buy Box: the path to access it is even more difficult. We have to succeed in managing customer complaints and delivering without any delay to have the possibility to win the most desired buy box across the internet.